There an old saying out there that says you get to keep what you give away. I love it becomes it helps me give More. 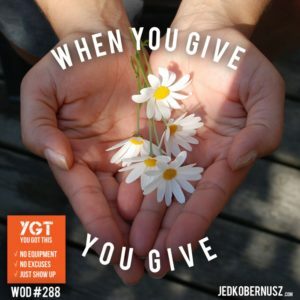 When you give you give more. This mindset coaching article will shed some light on why people with everything really have nothing. Becoming an influential person is what we all strive to be in the fitness industry. Because we think we known it all and have what others don’t. That was my mindset when I first started personal training clients back in 2006. I do have something that others don’t have, but I also give it away for free. Therefore everyone has it. You give more because it feels so good. Why do you think people love buying presents for people? However, people also like to receive too. Finding a balance is the key to happiness. When I give, I also receive. I give many times over every day. The richest of people whether it’s money or love don’t really have anything. They only need what they need and are grateful for that. You give more because you don’t need much to make you happy. For example, when I wake up in the morning I’m full of gratitude because I’m able to move independently and breathe. Anything past that is a win. Fancy cars, watches, houses and other crap like that don’t bring me happiness. A reliable car, watch, and a house does, but it’s only for practicality, not vanity. Rewire your brain for gratitude. Let’s sum this up. When you give more you give more. It comes from a pure place of happiness and joy. That’s what I wish for you today. Being a beginner of anything isn't always easy. Today's WOD is a combination of real simple yoga moves and hip openers that will have your body feeling grateful, powerful and energized. Within each of us we have what's known as a center. The center gives us a sense of balance and peace. I may sound a little coo coo for coco puffs here, but that's pretty much what it takes to be different and think different. Your subconscious mind will fight you tooth and nail to stay the EXACT same. That “center” I was talking about is your body trying to stay in homeostasis and when you do something different you knock yourself out of “stasis”. Today's beginners yoga routine will help you get back to stasis. When we are in survival mode all we do is release the stress hormone called cortisol. That does so much damage to your body and your mind. After all of the day's stressful events like kids not listening, burning lunch, missed flights and/or missing home you'll feel great after today's WOD. 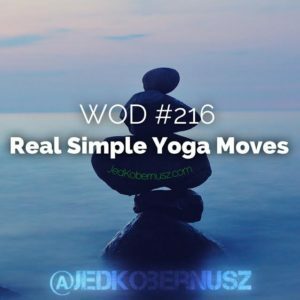 If you enjoyed this post about Real Simple Yoga Moves, retweet, share and/or comment below what was most noteworthy please. Working within your capabilities takes practice because you first have to become familiar WITH those capabilities. Expanding capabilities while creating progress also takes a massive amount of practice. Being able to find your capabilities is something that I've been working on since I was 12. 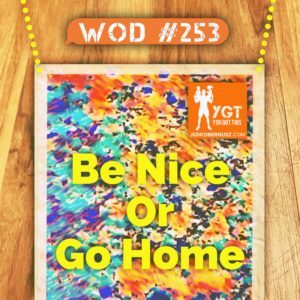 Today's WOD will bring you whole other level because there are two moves that might feel VERY unfamiliar to you. That is what pushes me to take that next step. 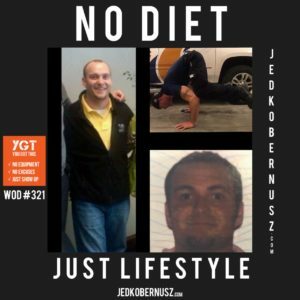 What I love most about bodyweight movement and exercise is that your body tells you right away if you cannot do a move. With practice you get to tell your body that YES I CAN do this. Then there aren't any repercussions after you decide to make that change. On the flip side knowing when to pull back is a VERY important skill. Knowing the difference between joint pain and muscle pain is something that I take VERY serious. Teaching that takes empathy. I can empathise because my body is pretty banged up, but VERY strong because of the way I practice. 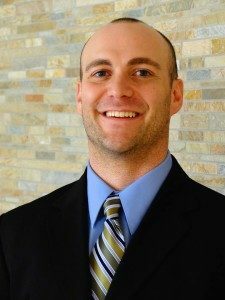 Joint pain is something that you “KNOW” doesn't feel right. An instant “zing” of energy pops into your awareness and doesn't go away for quite awhile. Muscle pain goes away after about 10-20 seconds. That's the lactic acid leaving your muscles. As a result of that lactic acid you'll find that when you stop moving the pain isn't so bad and your mind can help get through it. From joint pain the body gets to dictate that one. You won't be able to bare much more of the movement and my recommendation would be to stop immediately and move onto the next movement. So with that, let's get moving!